The MLB Season Preview | The Gettysburgian. The 2019 MLB season is underway, and despite October seeming ages away, every team is trying to distinguish themselves as frontrunners for the pennant. Though teams go through many changes over the course of the 162-game season, April games often set the tone for the rest of the year. *Note all stats are as of April 9, 2019. The defending World Series champion Boston Red Sox are off to a slow start and find themselves at the bottom of the division. Their arch-rivals, New York Yankees, have had better success with slugger Gary Sanchez near the top of the home run leaderboard. As for the league laughing stock Baltimore Orioles, they are not as bad as they seem, but their first basemen Chris Davis cannot buy a hit to save his life. The Detroit Tigers and Cleveland Indians are the early frontrunners in the division standings. The Tigers are second to Tampa Bay in ERA with 2.30, and Cleveland is not far behind with a team ERA of 2.85. On the flip side, the 3-6 Chicago White Sox are at the bottom of the league with a 6.35 ERA. The Twins remain quietly consistent. The Seattle Mariners have the best record in the majors with just two losses fueled by outstanding pitching and hitting and lead the League in home runs and RBIs. Domingo Santana is the RBI leader in the AL with 19, seven better than fellow division player Mike Trout of the Los Angeles Angels, who himself made headlines before the season began by inking a 12-year, $426.5 million extension. Bryce Harper and the Philadelphia Phillies lead the division with the Mets and Braves closing in. Like Trout, Harper signed a lengthy deal of 13 years, $330 million in the move to Philadelphia from his tenure at Washington. Unsurprisingly, the Miami Marlins are still at the bottom of the standings despite a snazzy logo and uniform overhaul this offseason. The division-leading Brewers are a top-5 home run and RBI team with 20 and 55, respectively, and are a top-10 team in hits with 93. The Cincinnati Reds own the League’s worst record of 1-8 and have only gotten attention from Yasiel Puig responding in a team melee to Pirates’ pitcher Chris Archer’s targeting of fellow teammate Derek Dietrich. The Los Angeles Dodgers opened the season +800 to win the World Series and now reside at +500. 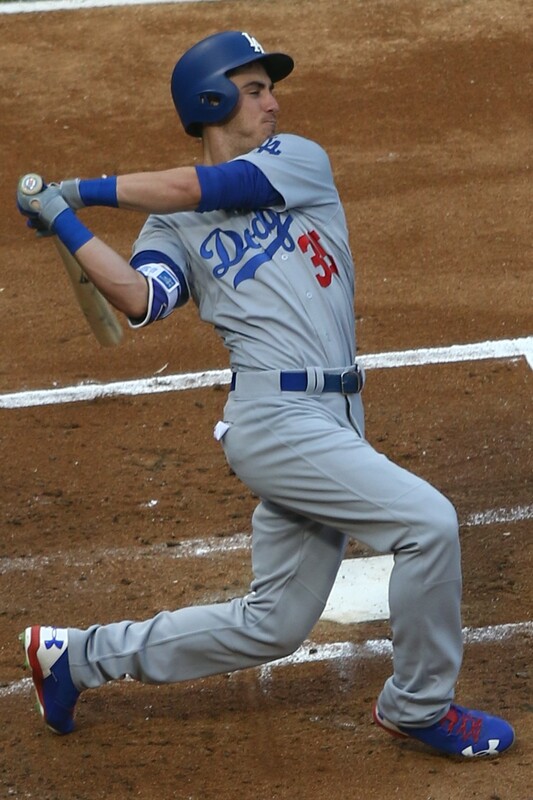 They are on top of nearly every statistical category and are led by slugger Cody Bellinger. Pitcher Clayton Kershaw is expected to return in the coming weeks. Manny Machado, agreeing to a lengthy deal worth $100 million for 10 years, has led San Diego to second place behind the Dodgers.